The General Knowledge: What is UNLUCKY 13 all about? The perception of the number 13 is only a superstition. Superstition is a belief, not based on knowledge. 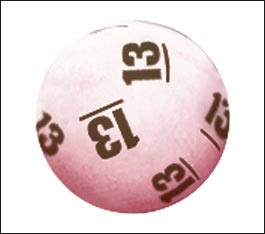 For one reason or another, many of us believed that the number 13 is unlucky. An example is a hotel that does not have 13th floor yet there is no such justification that is accepted about the UNLUCKY 13. Experts articulate that 13 were unpopular from the time when man learned on how to count. By counting his fingers and feet, he will come up with a total of 12 and beyond that 13 were unknown and scary. **Fact: There are also other events that seemed to be unlucky. Opening an umbrella indoors may bring misfortune or never to walk under a ladder.